Mt. Juliet, Tenn. – Overnight, a reckless driver crashed his car into a creek then stole the car of a citizen who stopped to help him. 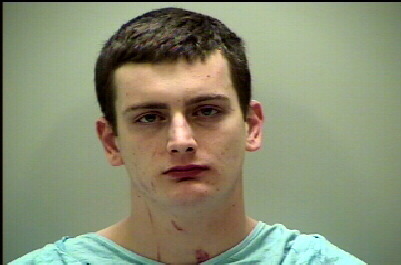 Stephen Fields, 20, of Old Hickory, TN certainly wanted to elude police after he crashed and rolled his car into a creek in Mt. Juliet. A 43-year-old Mt. Juliet resident heard the crash and drove to the crash scene to see if anyone needed aid. Fields acted as if he was looking for a passenger, who was possibly ejected from the car, so the concerned citizen began looking around the crash scene for another injured person. While the concerned citizen was away from his GMC SUV, Fields stole it and sped away. Cpl. Rountree was responding to the crash when he spotted Fields and the stolen SUV pass him at an extremely high rate of speed. A pursuit began after Cpl. Rountree turned around and attempted to stop Fields. Due to Field’s extremely fast speeds, officers lost sight of him temporarily. Sgt. Cook then spotted the stolen SUV and chased him until Fields bailed from the SUV and ran from officers on foot. 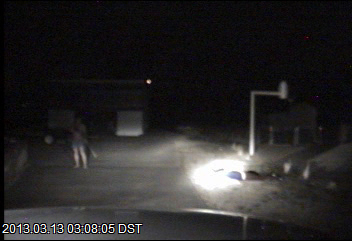 Fields was later spotted by another citizen who saw Fields running through his yard on Clearview Drive in Mt. Juliet. That citizen was able to hold him with a rifle until officers arrived and took him into custody. He has a court date set for May 28th, 2013. The vehicle that he stole was returned to the owner who stopped to help him originally. Unfortunately, the vehicle received some damage from Field’s reckless driving behavior.